A magnificient thangka of the 12 Tenma Guardian Deities of Tibet. 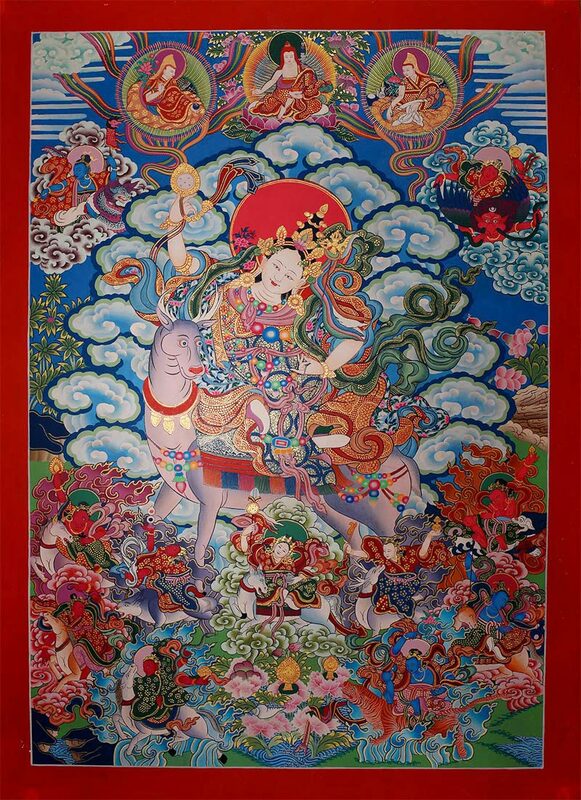 The 12 guardian Sisters live on mountains, in the valleys and ravines of Tibet. The central figure shows Dorje Tshajema surrounded by her sisters. A dreamlike masterpiece of thangka painting. Thangka with gold.